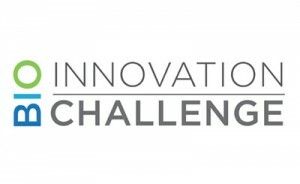 The semi-finalists have been chosen for the 2016 edition of The BioInnovation Challenge (BIC). Scott Moffitt, Managing Director of BioNova, the host of BIC, announced today that a selection committee has chosen the semi-finalists who will take part in the program. The semi-finalists will receive professional pitch training between now and the semi-final run off, which will be held in Halifax on October 25. BioNova has once again partnered with BioNB and PEI BioAlliance, its sister organizations in NB and PEI, to allow up and coming life sciences companies from all three Maritime Provinces to compete in the challenge. The winner of the BioInnovation Challenge will receive a $15,000 seed investment and a package of support services and mentoring valued at more than $30,000. For the first time since its inception in 2011 the second and third place finalists will also receive in-kind services valued at over $5,000. The 2016 BIC is presented by BioNova in partnership with the Atlantic Canada Opportunities Agency, BioNB, PEI BioAlliance, Dalhousie University Office of Industry Liaison and Innovation, Springboard Atlantic, Cox & Palmer, Jennifer Cameron PR, JLT, PwC, Sandler Training and Grant Thornton. BIC will take place over two days in October. The 7 semi-finalists will present to a panel of judges on October 25 at the Life Sciences Research Institute. The top three presenters will then pitch to the judges and the conference audience at BioPort Atlantic, BioNova’s annual conference, the following morning. The winner will be announced at the close of BioPort Atlantic on the afternoon of October 26. BioPort Atlantic will take place at the Halifax Marriott Harbourfront Hotel on October 25 and 26. BioPort provides a forum to educate, inform and inspire the life sciences community to develop their ideas, commercialize their technologies and build links within the region and with guests brought in from the US and from around the world.